The Language Flagship is a federally-funded effort and is a component of the National Security Education Program (NSEP) at the U.S. Department of Defense. NSEP was created in 1991 to develop a much-needed strategic partnership between the national security community and higher education to address national needs for expertise in critical languages and regions. 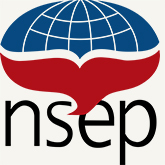 NSEP is the only federally-funded effort focused on the combined issues of language proficiency, national security, and the needs of the federal workforce. In conjunction with technology and research-oriented investments, NSEP represents an integral component of a national security strategy to eliminate the serious language deficiency in the federal government. Enhance the capacity of U.S. universities to teach key languages and regional studies.